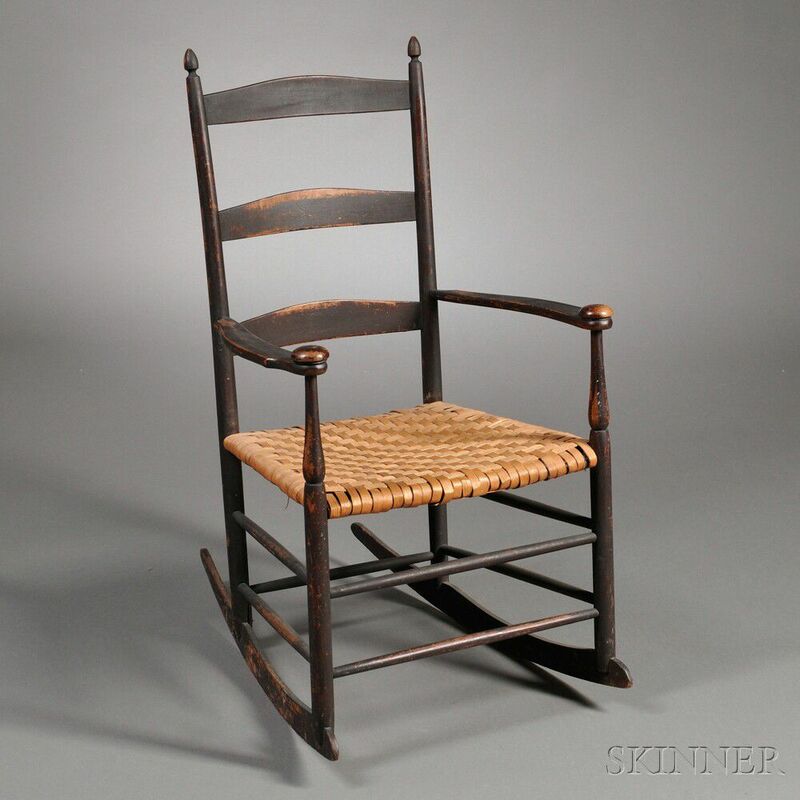 Shaker Production Armed Rocking Chair, Mt. 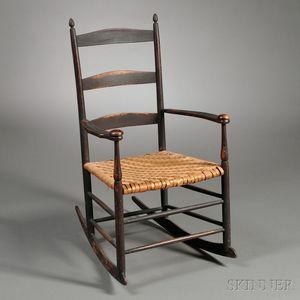 Lebanon, New York, early 20th century, with three arched slats, turned handholds, and splint seat, original surface, ht. 38 1/4, seat ht. 16 in.